“Um… yes, I had them when I was a kid,” their eyebrows twisting as they try to imagine a gallery filled with spreads of books revealing standing paper cutouts of all sorts and sizes. Not a bad idea, but wrong type of Pop Up. Photo credits: Scott Willis, film maker at Popup Week, Amsterdam. 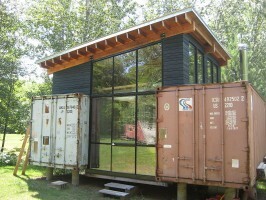 A Pop Up is a temporary installation in an unexpected location. The first Pop Ups were in retail and have been around for several years in major cities like New York, San Francisco, Paris, and London where real estate is expensive. Pop Up Shops allowed new companies to have sample sales, test the market and their product, without getting involved in heavy licensing. From there came the Pop Up Gallery, which took off in not only those major cities, but also bustling art hubs like Chicago, Berlin, Cape Town, and Mumbai. Amsterdam even hosts a PopUpWeek featuring events and talks on ideas, innovation, and methods of hosting a successful Pop Up. Today there are even companies specialized in Pop Up spaces and events like Openhouse in New York, or Storefront in San Francisco. They advertise “Pop-up ready spaces” and even provide marketing and event planning to ensure a smooth Pop Up experience. Real estate brokerage companies are starting to add Pop Ups as a type of property available for clients. All of this is evidence that Pop Ups are not only a trend, but a successful enterprise with a real market. 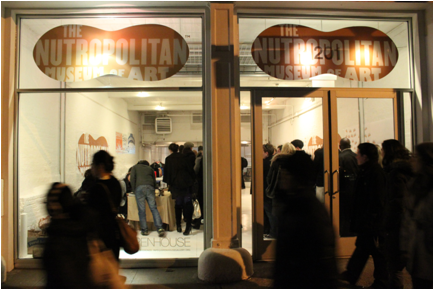 Outside view of Peanut Butter & Co.’s the Nutropolitan Museum of Art popup gallery in Soho, New York. Photo credit: Theresa Raffetto. Now, I’m not going to pretend to know about the real estate market, nor am I professing to be a Pop Up expert. But I do know as a lover of art, a city person, and a curious wanderer, it’s an exciting viewing experience- an experience that is missing in Yerevan. 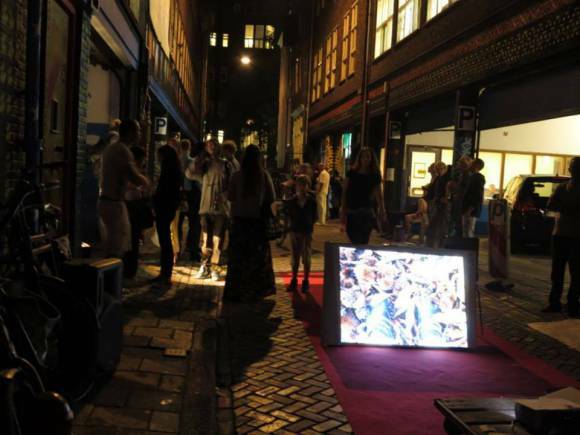 “Defining features of pop-up galleries are that they come and go, and typically appear in places not usually associated with art exhibitions. They possess an element of surprise in which viewers kind of stumble upon art when and where they don’t expect it, thus altering the experience of seeing it”. “Institutions have histories and brands and reputations…You don’t get that with a pop-up gallery. You’re popping up in a space that is not your own, in a space that is temporary until somebody else comes along to claim it”. So the experience is affected by several factors, the first is the objectivity of the viewer who is confronted with art in an unexpected space. It’s like accidentally coming across great street art, as opposed to intentionally entering a museum for the purpose of viewing art. Those are two totally different mindsets, and they affect how we see art because of what we bring to the work. The second is the objectivity of the space. In his renowned article Inside the White Cube from 1976, art critic and historian Brian Odoherty argues that the type of galleries that came about in the 20th century were as important to modern art as the works themselves. He called them “chambers”, or sterile, white, windowless rooms removed from time, that created an almost religious experience for the viewer. HAYP is no longer following the “white cube” model, nor are we viewing art in its “original habitat” like a Madonna and Child commissioned for a Renaissance church altar. We are disrupting typical viewing contexts, and constantly changing them. I think that there’s also something to be said about the under-construction environment common to the Pop Up. In “How Buildings Learn” an excellent six-part three-hour BBC series that aired in 1997, Stewart Brand states that “low road buildings keep being valuable precisely because they’re disposable”. In other words, what Brand calls “low road buildings”, or cheap spaces, are actually more empowering structures to inhabit. Brand says that their malleability inspires change, it makes you active instead of passive, which inspires freedom, creativity and experimentation. The most creative enterprises happen in these types of spaces. That’s exactly what HAYP is all about: experimentation. We hope to inspire experimental art, and also create an experimental space where ideas can be shared and new projects can be born. On a larger scale, we hope that HAYP will make the public see the potential of these spaces and how important art is to making us see and reinterpret our environment in order to envision a better future. With this in mind, how context affects the way we view and show art, we are excited to start the HAYP experiment! In the spirit of this theme, we will open our first Pop Up in December with the exhibition, “Frame of Mind: Context and Perspective”. If you’re in Yerevan, we hope that you’ll pop by our Pop Up.